The past two decades have seen a rising wave of investor-State arbitrations, which pose important questions of international law. This volume addresses one of the least understood and most unpredictable areas in that field - the assessment of damages. The result of a two-year research project carried out at the British Institute of International and Comparative Law, this book is the first to examine the subject in a systematic, comprehensive and detailed manner. The authors provide a much-needed balanced assessment of the complicated and controversial issues arising in relation to compensation awards, putting special emphasis on the interpretation and application of international rules on damages by arbitral tribunals. In addition to careful analysis of the most recent investment treaty case law, other relevant practice, both international and national, is reviewed. Thorough, well-organised and supplemented by analytical annexes, the book will be a valuable reference tool for legal professionals and a practical aide for constructing and resolving damages claims in investment arbitration. 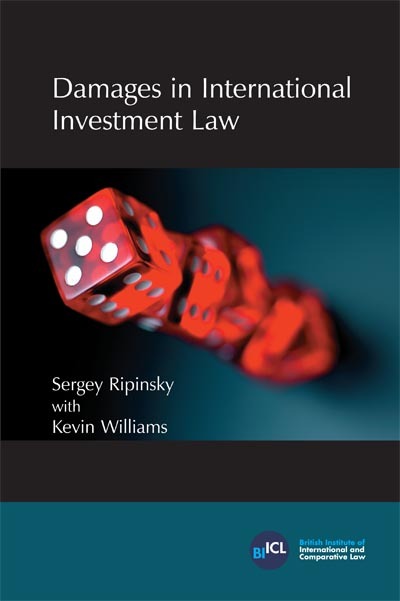 "Damages in International Investment Law"